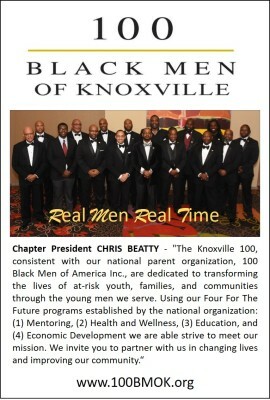 Chapter President CHRIS BEATTY - "The Knoxville 100, consistent with our national parent organization, 100 Black Men of America Inc., are dedicated to transforming the lives of at-risk youth, families, and communities through the young men we serve. Using our Four For The Future programs established by the national organization: (1) Mentoring, (2) Health and Wellness, (3) Education, and (4) Economic Development we are able strive to meet our mission. We invite you to partner with us in changing lives and improving our community." 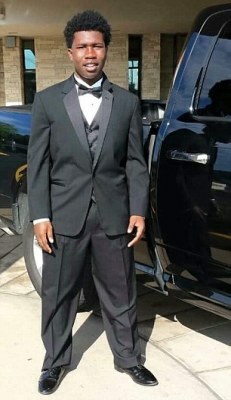 The 100 Black Men of Greater Knoxville's purpose is to serve as a catalyst to empower African American and other minority youth to individually and collectively reach their full potential through maximizing their resources that foster and enhance achievement in education and community and economic development. To accomplish this objective, we partner with primary and secondary schools and community organizations engaged in similar activities. 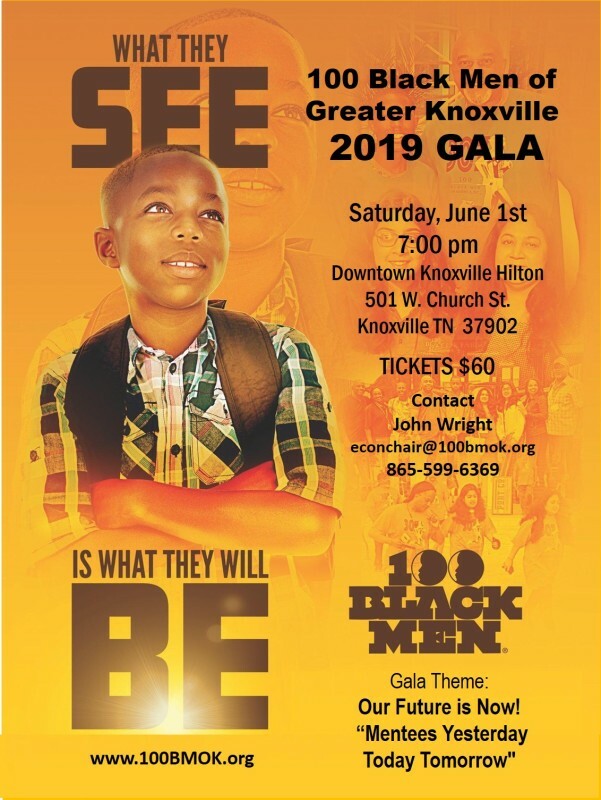 The 100 Black Men of Greater Knoxville, Inc. relies on the support of individuals, volunteers, private foundations and corporations to carry out its mission. Your donations will make a difference in helping 100 Black Men of Greater Knoxville, Inc. empower children and build stronger communities. 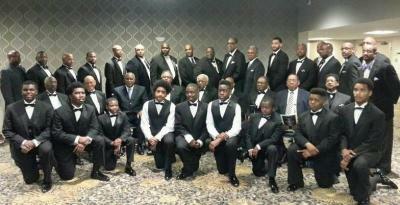 The 100 Black Men of Greater Knoxville are a beacon of leadership for the community. We transform the lives of at-risk youth, families and communities through the young men we serve. The 100 Black Men of America, Inc., seeks to serve as a beacon of leadership by utilizing our diverse talents to create an environment where our children are motivated to achieve and to empower our people to become self-sufficient shareholders in the economic and social fabric of the communities we serve. We are positive, adult male role models who are fully engaged in the lives of at risk-young men; guiding them toward leadership, service, self-responsibility, opportunity, and hope. Thank you for supporting our 100BMOK Annual Galas!